Dog Tags custom-made using your logo. 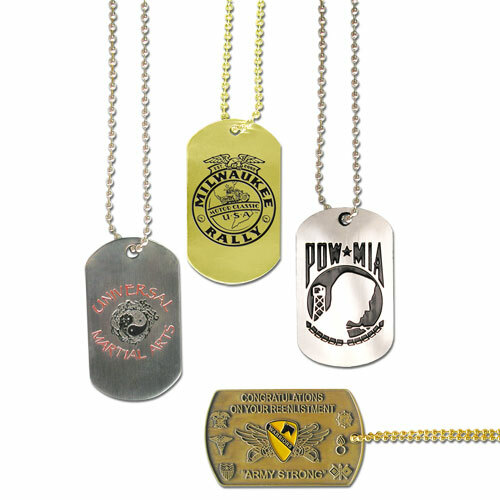 Dog Tags come in a variety of sizes and styles, such as etched in solid brass or die cast for added relief. All dog tags include a 30 inch neckchain. Bright Gold, Bright Silver, Antique Brass, or Antique Nickel.